As we had announced some days before… Daring Charming and Lizzi Hearts have a date! What an incredible one! Now we have the webisode to watch all the details of this first date. Something unexpected happens when Daring Charming is challenged to go a date with the next girl that walk through the coffe shop’s door. 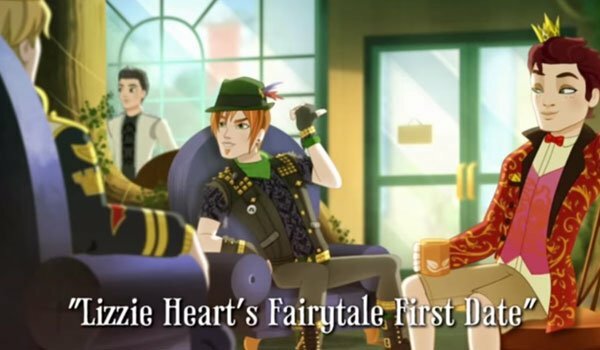 Let’s watch the webisode to see how Daring Charming ends up being unhexpectedly charmed by Lizzie Hearts! Which makes Daring charming pretty cool! Do you hope they become an official couple? 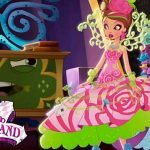 Some Ever After High fans feel kinda bad for Apple, what do you think about that? 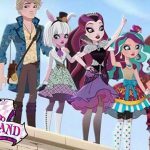 I like Daring and Lizzie as a couple but I do feel bad for Apple I mean first she lost her villain she propyl lost her huntsman and now her prince so I feel bad for Apple! Though I do like Lizzie and Daring as a couple too. Lizzie and Daring are a couple. Remember the episode from True Hearts Day, since Ashylln and Hunter were dating?